As I type this we're half way through the Memorial Day weekend and I suspect most of us really have not given this holiday much thought - except that it gives us another day "off" from whatever it is we do to spend time otherwise. So, thanks to Fox News and Bret Baier for this short primer on what this holiday is supposed to be - remembering those who have given their lives for our country in defense of our freedoms. And, to help us understand just WHY we need to be reminded, here's a clip that demonstrates it for us all. Several years ago we visited this American Military Cemetary just south of Florence, Italy. This hallowed ground is the final resting place of more than 4,000 Americans who gave their lives for our freedoms during World War II. I will never forget that visit and the feeling I got walking among those pristine grave markers. 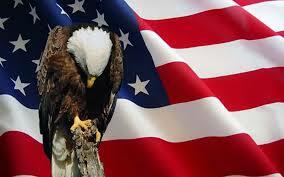 Remember those who gave everything for our country sometime this weekend. Thanks Geoff. It is indeed a sober reminder. Tomorrow at Mt. Olive will be an excellent chance for remembrance of those who gave so much but cannot share with us.